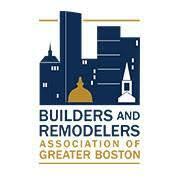 I founded ReModern Builders in 2016 with the goal of providing fine craftsmanship and detail oriented project management to the residential construction market in Boston. I have a great love for traditional carpentry and an academic approach to modern construction techniques and building science. My company stresses the importance of constant learning and growth as craftsman to all of our carpenters and trade partners—and we pride ourselves on the quality of our service and final product. Please visit our gallery and our social media pages to catch up with out latest projects.